The real Wild Bill was more lowdown than this TV portrayal. 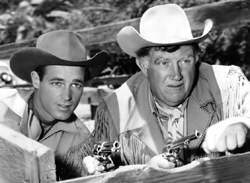 This version, which also ran on radio, made WIld Bill Hickok (Guy MAdison) into a first rate hero by just not mentioing the part where the real guy was a gambler and marshal. Both Madison and Devine parlayed this into a string of popular movies. 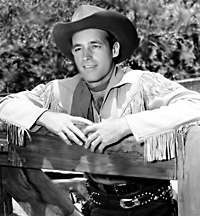 Guy Madison died in 1996 of emphysema. Devine died in 1977 of leukemia. TV Guide’s Wild Bill Hickok Page, with TV Listings, Photos, Videos, Exclusive News and More.